Kalk Bay at about 6am. Good to see that old chokkie boat is still going. Many good memories there I helped build 2 of the boats that float in there and fished from three of them. Good times! This is another webcam shot of a thunderstorm brewing off Cape Town about two weeks ago. Needless to say we had incredible lightning and thunder that night. 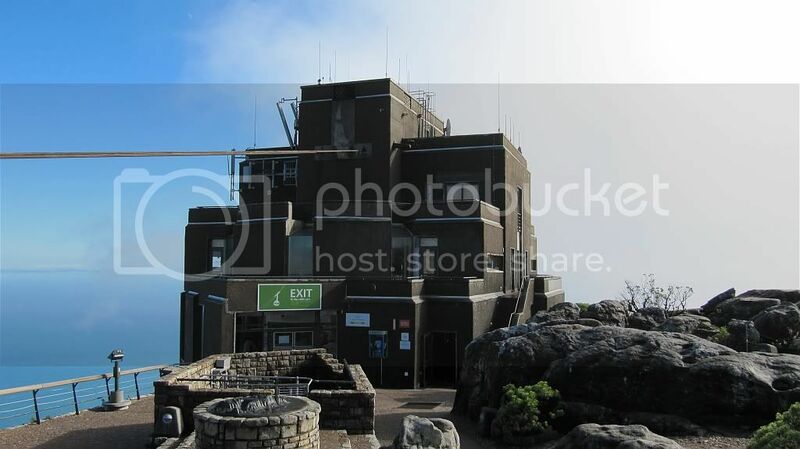 I merged 3 photos into one, as can be seen by the slight distortion,.... but IMHO, still a cool shot of Table Bay. Not quite. Further to the right. listen - I needed to just point out the fact that it's there.... not pinpoint it! Llundudno left - the long walk to the beach on the right........ Sandy Bay used to be great and then the dune stabilisation in Houtbay started messing with the natural flow of the sand to supply the beach. More and more it's disappearing and more rocks visible - sad indeed due to mismanagement!